Micah rubbed his eyes and threw on a T-shirt, sunshine pouring through his window. He peeked into his brother Luke’s room on his way down the hallway. Asleep. Apparently even Christmas Day couldn’t lure a 15-year-old from bed before 10 a.m. A decade ago, he and his little brother would have been up at dawn, bounding into their parents’ bedroom, demanding to open gifts. He stumbled into the living room, grinning when he saw the tree. It was packed with presents underneath, as always, even though his dad had warned it would be a tight Christmas with college tuition looming. Micah reached down to plug in the lights and dry needles fell to the floor. This week had been Santa Ana conditions—hot and dry. The tree was beginning to rot. East Coast transplants complained about California’s lack of seasons, but Micah had no problem with year-round sunshine. He knew nothing besides Christmases in Laguna Beach. How could you even hang Christmas lights bundled up in a jacket? It was a shorts and T-shirt kind of job. Snow came in the form of a foamy substance at the Sawdust Festival and he generally spent more time in a full wetsuit than a puffer jacket. And that was fine with him. He grabbed a banana off the counter and plodded back to his room, plopping into his swivel chair and grabbing his ear pods. Imagine Dragons displaced the early morning quiet. The early decision letter lay on his desk. Micah read it for the hundredth time. Northwestern. It had seemed like such a good idea when he visited in the fall. The university checked all the boxes on his list: near the water, close (but not too close) to a big city, small class sizes. It was the one! His best chance of admission was early decision, so he went for it. The letter arrived last week. His mom was bubbling over with excitement. She wanted him to leave Orange County, experience somewhere new. His dad began building spreadsheets to figure out where the money would come from. A wave of nausea hit and Micah shoved the letter into the top drawer. He cranked open the window above his desk and inhaled the warm, eucalyptus-scented air. It smelled like Christmas. He punched the weather app on his phone and swiped. Chicago. 37. “And that’s the high,” he mumbled under his breath. Micah took another deep breath, exhaling through his nose and practicing the calming techniques his mother shared with the hope that her wisdom from free yoga at the Montage could combat teenage stress of AP classes, ACTs, extracurriculars and college applications. He resurrected the letter from the drawer, smoothing the creases. Binding contact. He’d committed himself to the high of 37. Snow. Wind. Pants! He laid his head down on the desk in defeat. Micah squeezed his eyes shut, remembering the orange leaves, blue lake and crisp air in Evanston. He gave the letter a final glace. She was right. He could count on coming home to sunshine in December. That was the best part of Christmas in Laguna. Sarah Durand celebrates Christmas in California with her family and doesn’t mind that the tree is brown by Boxing Day. She writes fiction when she can but has no plans to quit her day job as Executive Director of SchoolPower, Laguna Beach Education Foundation. Those of us who spend any time at all in Laguna Beach love this quaint little beach town. My writing group meets in the town’s library once a week. To the left of the library entrance, there is a large grassy space filled with clusters of local flowers, stepping stones for little feet and tiny cottages. The cottages are home to all sorts of imaginary fairies, sprites and real butterflies. When I have time before my class, I pause in front of the garden to check out any new items in this magical kingdom. I smile as I tiptoe on the step-stones, some of them engraved with Friends of the Library donors’ names. I am always watching out for any caterpillars before I take a step. When is caterpillar season anyway? I reflect upon the upcoming holiday season. I am carried back to all the Christmases I have been privileged to enjoy with my parents and siblings, with my children and now with a few grandchildren. When one has lived a very long time, all holidays begin to merge together into one sweet remembrance of childhood friends, loved ones and faraway friends and relatives. Some of these have passed away too quickly without one more chance for us to hug each other and share old memories. But this holiday season, no one was prepared for what was about to happen to Northern California and its residents—a fire with an intensity beyond anything ever seen in our lifetime. We watched the television for hours, listening to survivors in shock and first responders whose ordeals were etched on exhausted faces almost drained of blood. They told the world about seeing fires jumping over highways, crawling under houses and climbing into moving cars in a matter of seconds. The world listened, some balancing pizzas on their laps in front of the TV, faces expressionless in disbelief, and others simply incredulous at what they were seeing and hearing. Will we still be able to celebrate all our traditional holidays this year while carrying around such heavy hearts for victims we will never get the chance to know? Yes, we will. We will honor their lost lives and applaud the bravery of all. I blink the tears back. At the library, I once more take a moment to peek at the precious village I love so much, returning to a feeling of peace and well-being as I prepare for the coming holidays. Something has been added!Sparkling miniature replicas of ponderosa pines, coveredcarefully with fairy snow,are placed next to the little cottages,where wreaths half the size of a thumbnail adorn the front doors.I hear the fairies singing carols.I sing along with them. Fran Masket grew up in Indiana and has been writing from the East Coast to the West Coast since the age of 9 (when she wasn’t going to Hoosier basketball games). Her beloved dog, Clara Mae, accompanies her everywhere. In 2006, my sister Connie called just before Christmas and asked if she could drive up to see me. “I need to talk to you about something,” she said in a somber tone. “What?” I felt the alarm bells starting to ring in my chest. “What’s up?” I’d had enough bad news. 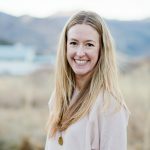 I was in my first month of chemo for breast cancer and feeling overwhelmed. Technically, Connie is my half-sister. We have different dads. When I was a toddler, Mom “Dear John-ed” Benny, my genetic dad, while he was in the service. Benny agreed to give me up for adoption to my new stepdad. I was two. My stepdad was troubled and difficult, so for me, dads were an emotional minefield. I was now 55, settled and happily married. I was sure I cared nothing about finding my real dad. And so, on the Friday before Christmas, Dec. 22, 2006, I met my dad. It was a gorgeous day at the beach. Mom, Connie and I walked toward the boardwalk at 3 p.m. as planned. He would be coming from his job, Connie said, so I was looking for maybe a suit and tie. But the only guy leaning against the lifeguard tower was tall with a white beard and wearing a full Santa Claus suit. That was 12 years ago. For five sweet years he was in our family. He brought us love, generosity and a certain twinkle in his eye. He loved being Santa. He and my mom even rekindled their romance. “My God, those legs,” he’d say. They went on cruises and trips and had a wonderful time. He loved Laguna and couldn’t understand why my husband and I ever traveled. “You live in paradise!” he’d enthuse. We lost Benny in 2011. I never could call him Dad and he was fine with that, but in retrospect, I wish I’d just gotten over myself and voiced it. Dad. Leaning against the Main Beach Lifeguard tower, dressed in red, framed by blue sky and blue sea. My dad. Today, my cancer’s gone; there were no family health revelations. Connie continues to be an amazing advocate for everyone in her life and Mom’s doing great. As for me, there’s a sense of completeness, a wholeness that arrived with Benny. 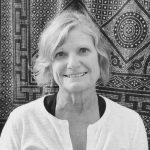 Beth Summerl, mindfulness meditation teacher and nurse, has lived in South Laguna with her husband for 25 years.